How are your books organized on your shelves? Some book lovers choose alphabetical order by title or author, some group all paperbacks in one place and hardback books in another, some organize their books by genre with all horror novels on the top shelf and reference books on the bottom. You've probably organized your books according to your own preferences, so why not choose book organizer software that allows you that much freedom when creating a book catalog? The benefits of book organizer software should be pretty clear. You enter the title (or part of it), the author's name or some other criteria by which to search for a book, and the book organizer software present you with a list. Click your book, and it's in! You can add extra information beyond the many details the book organizer automatically adds for you, including graphics and detailed author information with a photo. No more typing in dozens or hundreds of titles and authors, creating your own database or trying to customize generic inventory software to handle your book collection. Allows you to organize your ebooks! You probably have some, and you'll want to add those to your inventory, too. Of course the book organizer program you choose should do the basics as well as the things above, let you choose different skins, print your lists and organize them how you want. And of course, modern book organizing program should allow you to catalog ebooks and audiobooks. But make sure that your book collection organizer is one that's updated from time to time. Huge corporations that put out hundreds of software titles often abandon several as they start new ones. Why pay for something that won't change with the times? Look for forums where users can interact and get help with problems and you'll be getting book organizing program that's up-to-date that the company cares about and will continue to improve. And why pay up front at all? 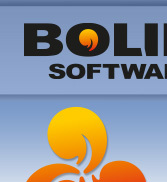 A great software company knows that once you try their software, you'll want it. Choose a book organizer you can download and check out so you're sure it's everything you want, rather than pay up front for book organizer software that you might be unhappy with. Try to install our All My Books program. We hope you'll enjoy it! Learn about how to organize books with ease. "I should say I LOVE the program more and more day after day! :) Now I can export my huge library into any format I like and on my mobile as well. I've got a personal site of my own. So, it's really convenient to export the info there and we can discuss and exchange books with my friends - and it always reminds me when to have the books back! Thanks to the developers! Keep it up!" Looking for a Book organizer? We got one for you.